Simon James of Mountain Goat Trails have put the S3 rechargeable to the test, and wrote a thorough and honest review of the headlamp. 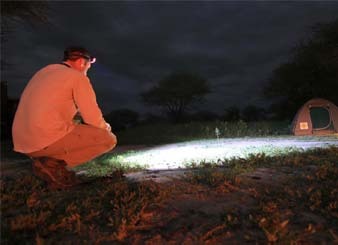 Simon has tested the headlamp wild camping in the Tarangire Safari Park in Tanzania, where it gets dark 6.30 and wild animals can roam freely through the camp! He also put the headlamp to the test, during a wet and windy night running event back in Chillterns, UK. There is no doubt the S3 rechargeable has really been put to the test!